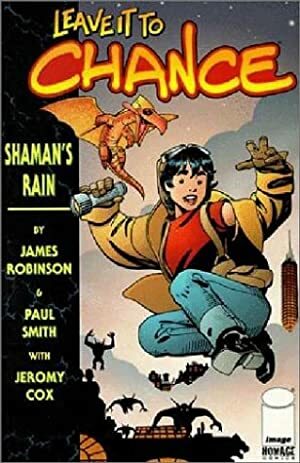 Leave it to Chance was a fun but minor comics series by James Robinson and Paul Smith. It primarily was published during the second half of the 1990s. Raepher “Frost Giant” McDougal was one of several monsters in the series working normal jobs and behaving like a normal person (mostly). This can be a cool concept in some settings. Group Affiliation: Ice Demons ice hockey team. Base Of Operations: Devil’s Echo. McDougal is a powerful hockey player with great skill and experience. As well as a zombie. McDougal is the star player of the Devil’s Echo Ice Demons, the local ice hickey team. While the Demons are a good team, McDougal’s unluck is well known and lamented by fans. Things always happen that rob the Demons of their victory at the championship. Finally, there came a season without any accident for McDougal and the Demons. They were well on their way for the cup. Yet the Demon’s curse struck again, and McDougal was assassinated by a pair of Troggs while in his home. But his will to win was too strong. McDougal came back. The revenant wanted to play with his team for the big match. After legal arguments about whether players must be alive, he made his entrance on the rink. The public was at first shocked into silence by the Frost Giant’s obvious undead nature. But they soon were cheering the comeback of its favourite player. Meanwhile, Chance Falconer, teenage sleuth and daughter of the powerful occult defender Lucas Falconer, was exposing McDougal’s murderer. While dead and somewhat decomposed, the Frost Giant is back for good and is still the star player if the Ice Demons. 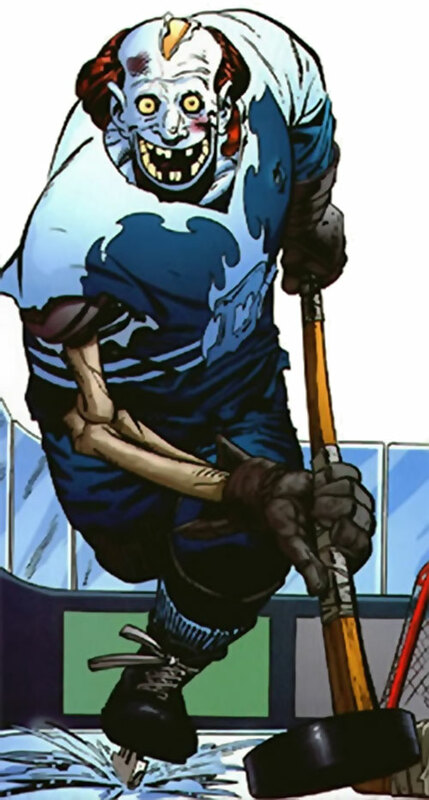 A huge zombie hockey player. The Frost Giant is a direct, hearty man with a simple nature. He’s a rough natural athlete with an obvious blue collar background and great charisma. The public loves the rough-and-tumble, enthusiastic, no-nonsense and generally cheerful McDougal. Local Hero (Devil’s Echo), Expertise (Ice hockey). Ice Demons hockey team (High). Source of Character: Leave it to Chance comics (Homage/Image).